SpaceX founder Elon Musk has laid out an audacious multibillion-dollar plan to send colonists to probably die on Mars. On Tuesday, he unveiled an Interplanetary Transport System: a fleet of spacecraft capable of delivering people to the Red Planet so they can create a permanent human settlement complete with a fuel-generating depot – a space gas station, if you will. According to Musk, the base is "not really an outpost, but a city in its own right." He also warned that the very first settlers face a very dangerous mission – going as far as saying they should be prepared to die for him and his cosmic crusade. It is for this very reason that Musk will not be among the first venturing to the alien world: he's not in any rush to be killed. To simply get there, SpaceX plans to construct a massive 122-metre (400-foot) high system, including a re-usable booster powered by 42 of its new Raptor engines. The booster will first deliver the spacecraft into Earth orbit, then return to land to be loaded with an external fuel tank to fill up the ship for its months-long journey to Mars. Musk says the craft and its massive carbon-fiber booster will take at least four years to develop, though orbital flight tests could begin quickly thereafter. The craft will take off and land at the same Cape Canaveral 39A launch pad that saw the Apollo 11 mission off in 1969. From there, Musk says the ship (yet unnamed, though the billionaire says he'd like to call the first ship "Heart of Gold") will carry passengers and freight to Mars, only to be refueled and sent back to Earth. This, Musk says, will be accomplished by outfitting Mars with its own fuel plant, using elements available on the Red Planet to manufacture the deep-cryogenic methalox propellant for the Raptor engines. The result: a permanent human settlement on the Red Planet capable of transporting passengers at the (relatively) affordable cost of around $200k to $500k per passenger. Musk notes that most of those passengers would be looking to permanently relocate to Mars, where he suspects jobs will constantly be in demand. People will have the option of coming back if they get homesick. "I think it's important to give people the option to return ... The thing that really matters is making a self-sustaining station on Mars as fast as possible," he said. Development of the Interplanetary Transport System itself is going to cost around $10bn, with the majority of SpaceX staff moving to the project over the next 12 to 18 months. Within the next four years, tests will be carried on Raptor rockets, it is hoped, and a launch won't happen before 2024; a full timeline on getting to the Red Planet wasn't discussed by Musk. 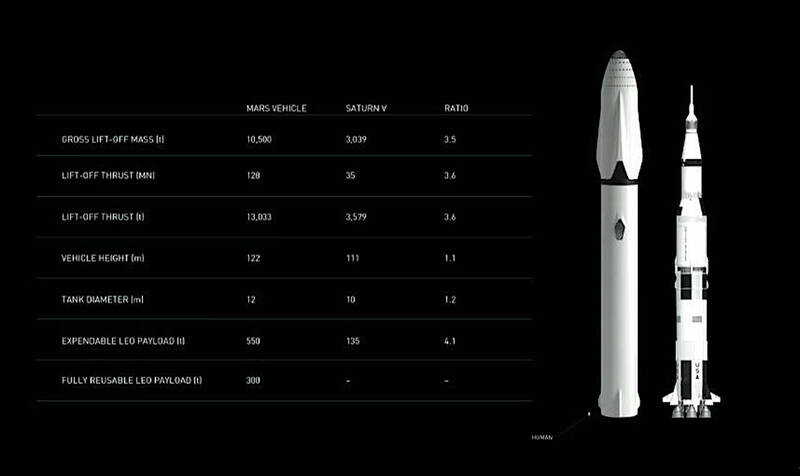 The finished craft will have a lifespan of about 30 years, enough for about 12 to 15 round trips to Mars by Elon's own estimation.